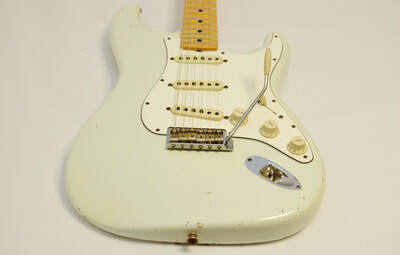 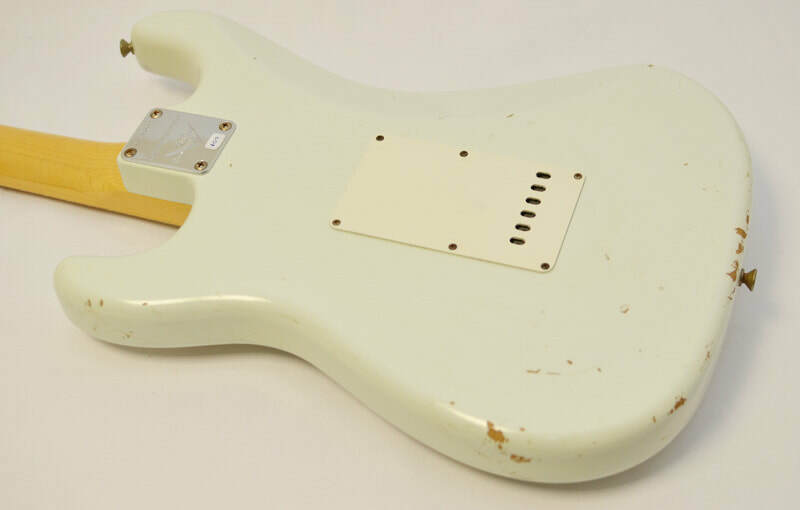 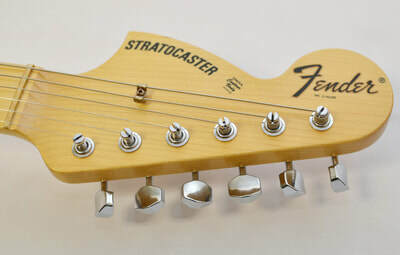 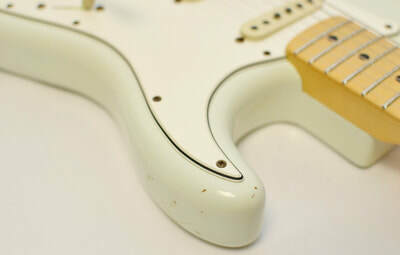 Other Decals, front: "STRATOCASTER", "ORIGINAL Contour Body PATENTED", "PAT. 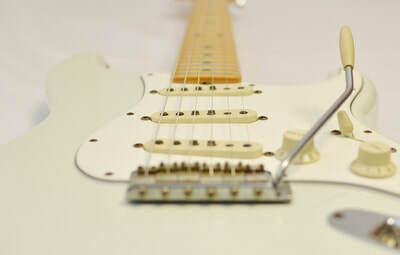 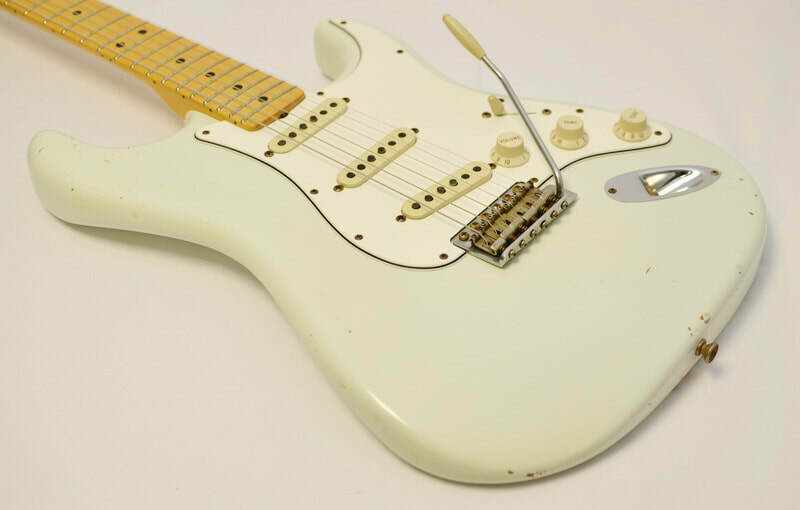 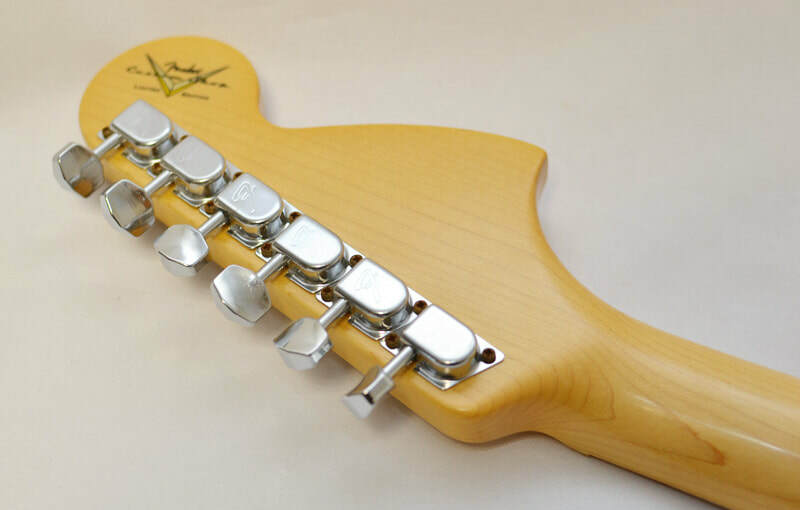 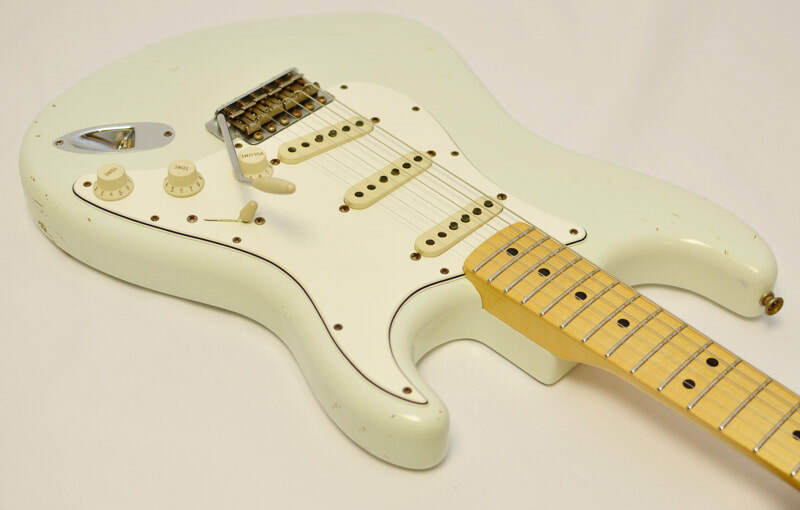 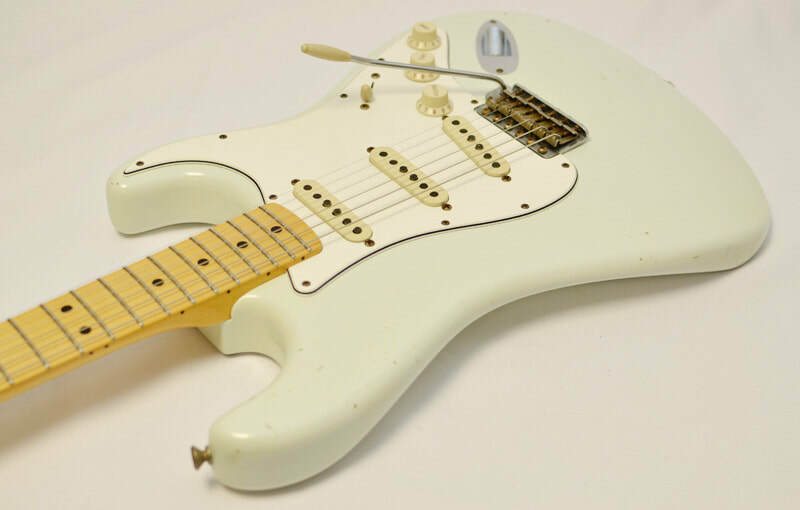 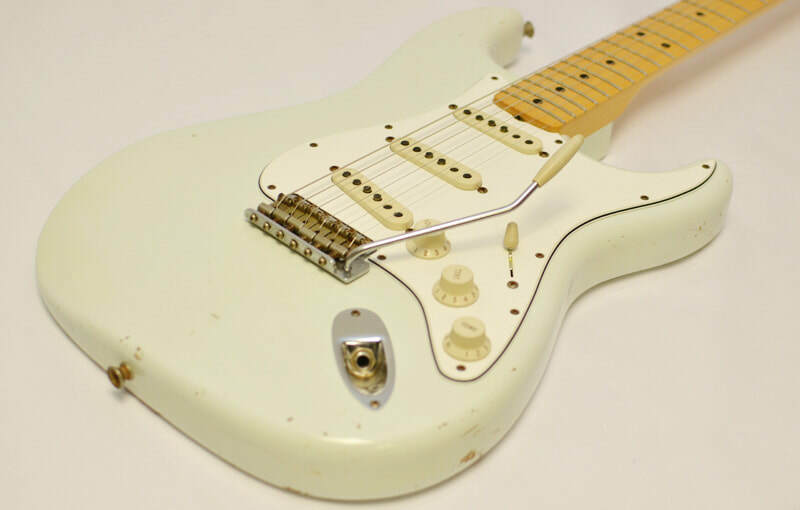 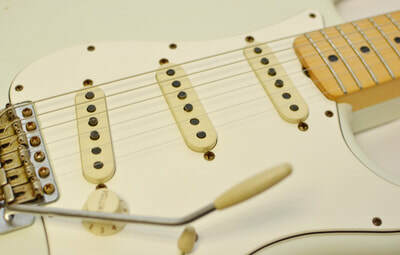 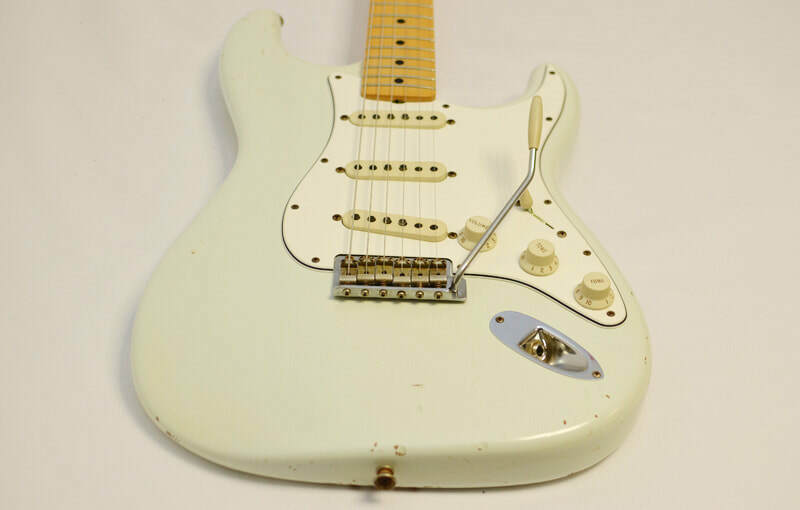 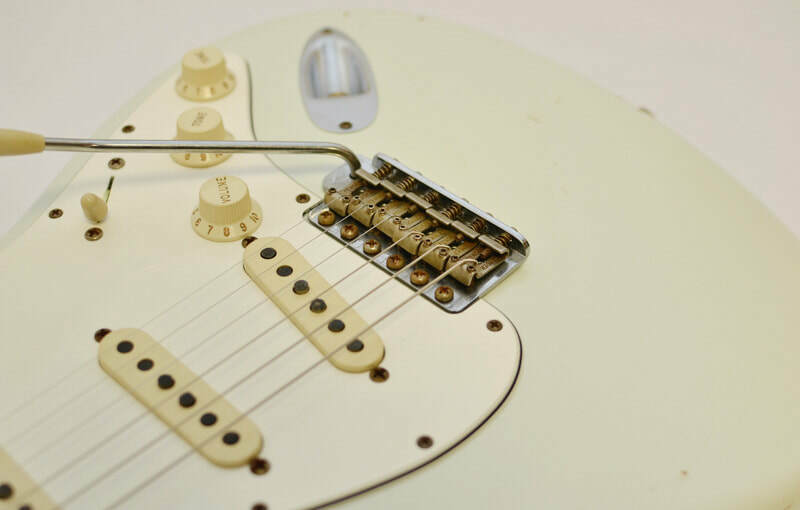 3,143,028"
Our twist on the iconic late 60's Stratocaster features medium jumbo frets, Abby hand wound 69 pickups, and a reversed headstock with a 9.5 radius for easier string bending. 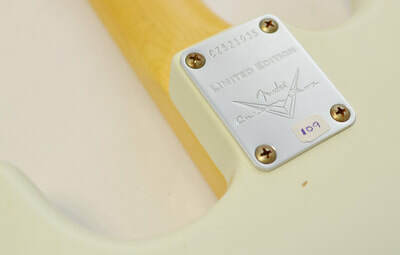 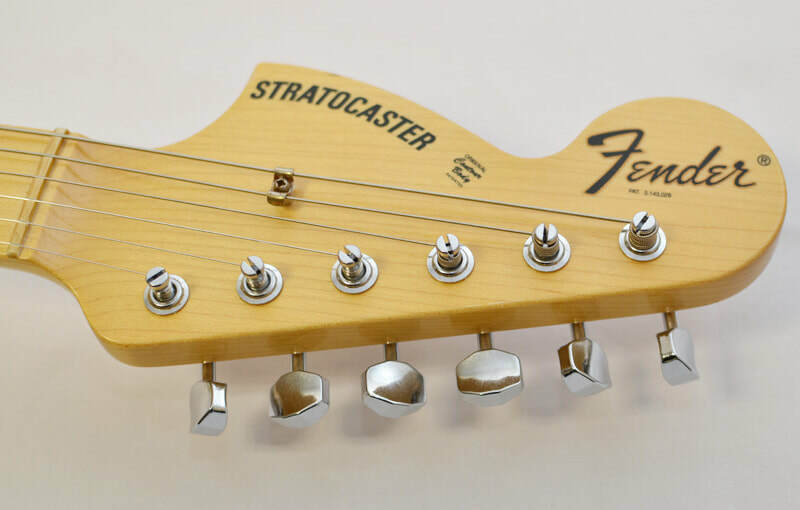 This Stratocaster reflects a defining era for Fender and rock music in general, and we have included some of our most requested features.